By 1860 New York City was floundering in a disconnected tangle of public agencies. Then on March 1 of that year The New York Times reported on the formation of the Department of Public Charities and Correction—a title with a seemingly incongruous authority. Three Commissioners were appointed to run the new Department, each earning a comfortable $3,000 per year—about $63,000 today—and they were expected to run their organizations with proper Victorian rigor. There was, for instance, a long list of rules regarding vagrants and paupers in the workhouse. They were permitted to work alongside only those committed for intoxication or assault and battery. An account was set up for each pauper, charging him for board and crediting him for his completed work. Unruly inmates of the workhouse were fed only bread and water. On May 3, 1860 the Commissioners reported on the progress. There were at the time 7,382 inmates in the various institutions and the Commissioners had set about cleaning house. Ten of the keepers of the Penitentiary were fired and replaced, and the same action was done in the Workhouse where six keepers lost their jobs. The Warden of the City Prison was earning $1,750 per year and the Clerk there was earning $1,500. The Commissioners reduced their salaries to $250. If anyone thought that the new Commissioners of the Department of Public Charities and Correction were not serious about reforming the institutions, they were quickly corrected. The Department rented rooms at No. 1 Bond Street for several years before funds were set aside for a permanent headquarters in 1868. The site chosen was at No. 66 3rd Avenue at the corner of 11th Street and architect James Renwick was commissioned to design the new structure. It was neither the first nor the last of the public buildings Renwick would design. Blackwell’s Island (now Roosevelt Island) would fill with Renwick buildings—the Workhouse, the Lighthouse, the Charity Hospital and the Smallpox Hospital among them. The Department was in charge of the education of boys for the trades. 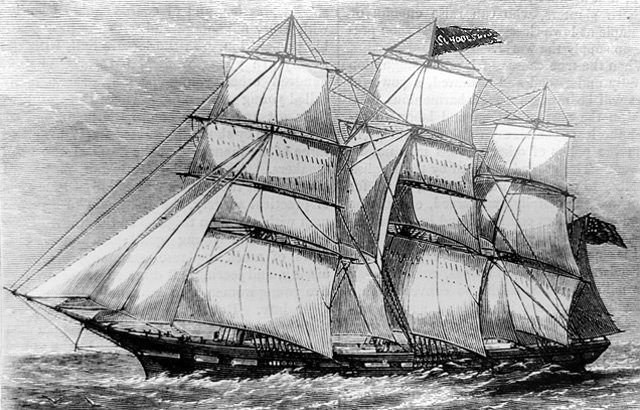 To prepare young sailors, the School Ship Mercury, was operated under the Department’s charge. The boys did not necessarily choose a sea-faring vocation, however. The Department issued a report to Mayor A. Oakey Hall regarding the Mercury on September 12, 1871 explaining the selection of the crew. Some, it said, had been committed to the care of the Commissioners by the courts “for slight misdemeanors and vagrancy. Others, and in large numbers, had been committed by their parents as incorrigible, or because of evil associates, who were leading them to ruin.” The lawless boys, the Commissioners felt, “could not without a long probationship be recommended as apprentices, because of their wayward and reckless character, nor could they be discharged without the probability that they would again become vagrants, or fall into their former wicked associations.” So they were loaded onto the Mercury to learn to be a sailor. Boys put on the Mercury could not expect to see New York again for, sometimes, a year. “The only effectual mode of instruction is the continuous handling of a ship at sea,” said the report, “and that the manifold duties of a thorough seaman can only be learned by actual service.” The report outlined the cruise that had begun on December 20, 1870. The boys took the ship to the Madeira Islands, then to the Canaries, then on to Sierra Leone. From there they sailed to Barbados before returning to New York. 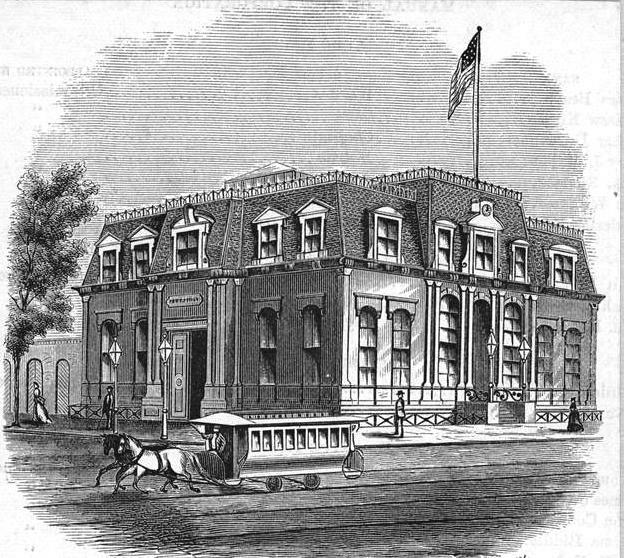 Shortly after 1895 the Department left its 3rd Avenue headquarters. A separate Department of Corrections had been established, relieving the Department of an enormous work load. Around this time orphaned and abandoned children were put under the care of the Out-Door Poor. The Charity Organization Society of the City of New York approved of the move, but felt it did not fully address the problem. “This was an improvement of course, on the former practice, since the children, while waiting, associated only with tramps, paupers and sick people, instead of with prostitutes and criminals but it was bad enough,” said the Society’s report in 1901. To address the situation, the Bureau of Dependent Children was established by Commissioner Keller in January 1899. The Bureau took over the building at 3rd Avenue and 11th Street. The organization realized early on that one of its most crucial tasks would be weeding out parents who tried to use the Bureau as a convenient dumping ground for unwanted babies. Such was the case in April 1900 when jeweler Wilbur F. Hammond walked in with a two-month old baby. The man told Superintendant Blair that he had gotten off the 23rd Street Ferry from Jersey City, walked about four feet and noticed the child lying against the wall. After he waited approximately 45 minutes and no one came to claim the child, he took it to the New York Foundling Hospital. The Hospital refused to accept the infant and sent Hammond to the Bureau. Now, sitting before a suspicious Superintendent Blair, he was asked if he wouldn’t like to adopt the child. No, he answered, “but he was willing to pay for his care,” reported The New York Times. Hammond’s story began unraveling when cabbie Thomas McDonald came forth saying that a man and a woman (she “veiled and well dressed), disembarked from the 23rd Street Ferry and asked to be taken to the Foundling Asylum. The man got out of the cab with a baby and the woman was driven to the elevated railway at 67th Street and 3rd Avenue. There was only one baby brought into the Foundling Hospital that day; a fact that pointed to Hammond as the man. Employees of the ferry terminal said Hammond’s story was “preposterous.” Instead of the lonely station he described, the terminal teemed with “several hundred people. Police became involved and Hammond faced a seven-year prison term for abandoning a child under six years of age. The careful scrutiny of every case resulted in similar discoveries. In 1908 10,519 children were brought to the Bureau. Of them only 3,269 were accepted. The city sold the building—now a half-century old—in 1917. Automobiles crowded New York City streets and parking, as now, was a problem. The old Department headquarters was unceremoniously converted to a garage and its mansard roof, controversial in 1868, was demolished. Throughout the 20th century the humiliation continued with glass brick replacing the window openings—no doubt with security in mind. Yet amazingly the building survived until 1989 when Loew’s Theater Management leased the corner property. Before long one of James Renwick’s surviving structures, already forgotten, was replaced by a cinema complex.